When it comes to choosing the right floors for your home, does laminate flooring ever come to mind? Well it certainly should because laminate is one of the most popular flooring types chosen among homeowners. It’s wildly popular because of the numerous benefits that come along with it. Laminate flooring is an extremely cost effective and versatile option that imitates the feel and aesthetic of almost every type of hardwood floor, but at lower costs. Another big draw of laminate is how easy it is to install. The easy installation process makes it the go-to flooring product for homeowners who choose to install their floors themselves. It’s practical and reliable for almost any room in your home including bedrooms, bathrooms, living rooms, dining rooms, hallways, and even garages. It can also be installed over any type of existing floor in your home except for carpet. It’s versatile in the sense that it is able to imitate stone tile, real hardwood, and vinyl plank. Laminate flooring has a very natural look, long-lasting durability, and is more resilient to potential damage. It’s less of a burden to maintain too unlike the other floors it’s made to imitate. The material that laminate is made from is specially made to prevent bacteria and mold from growing on it. This protects the floor from plenty of risks that other flooring types are more prone to, and it also prolongs the floor’s longevity. Carpet Corner has the Laminate brands you want! Carpet Corner provides quality laminate flooring from some of the nation’s top flooring brands including Shaw Floors. 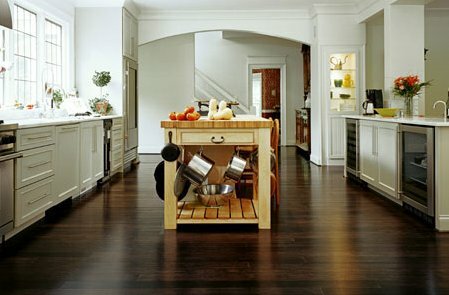 Shaw Floors have been providing specially crafted laminate flooring products to Carpet Corner for years. Their laminate flooring products are waterproof, pet friendly, and most importantly reliable! Carpet Corner is a proud retailer of Shaw Floors, and we’re here to provide you with top quality products and professional workmanship when you need it.